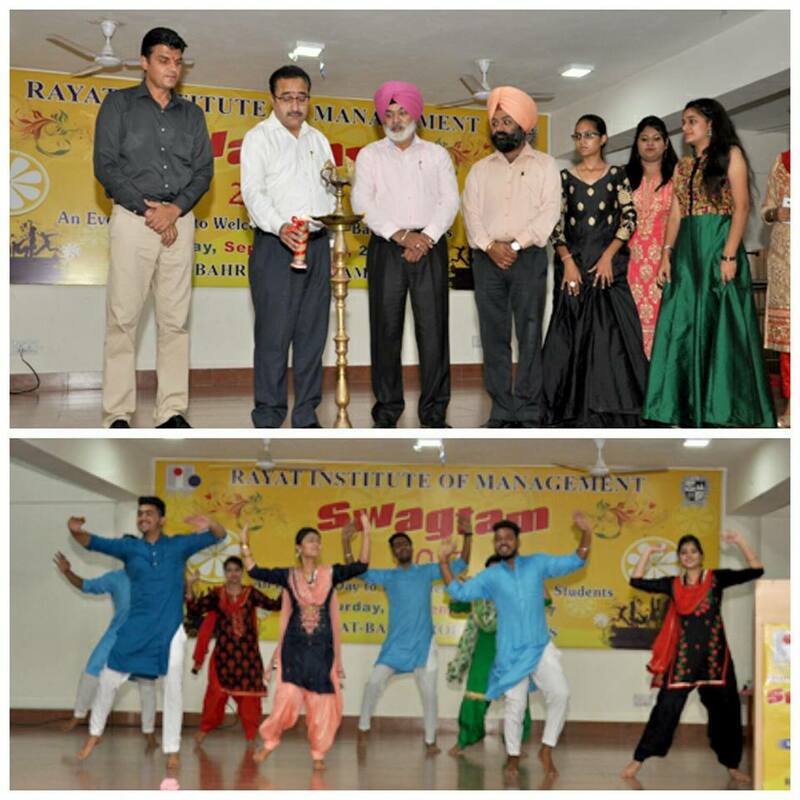 Rayat Institute of Management organized a freshers party Swagtam 2017 on 9th September , 2017 to give a warm and vivacious welcome to the newly admitted students of MBA, BBA,BCA, and B.COM (Prof). 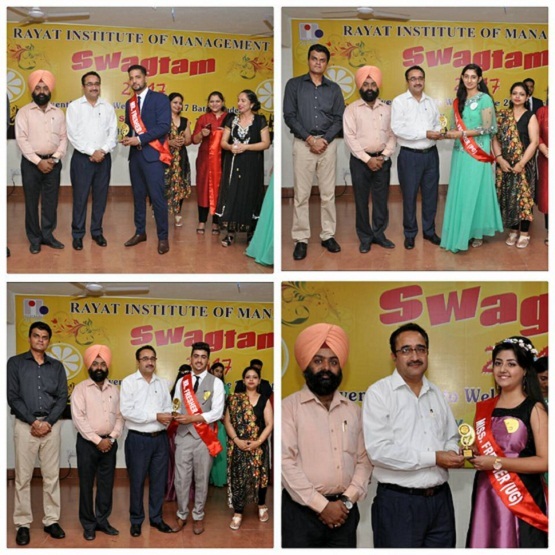 The event became unique and memorable with the presence of Dr. Suresh Seth Campus Director as the chief Guest of the day , Mr SSS Bains Director Administration, Director Principals of various colleges and many eminent personalities of the group also became the part of the memorable day of the students. The event commenced with the lamp lighting ceremony by the Chief Guest of the day. Participants gave a warm but an effervescent welcome to the Chief Guest through their solo and group dance performance. Students also presented various group dance solo dance and singing items. The students who bagged prizes in the poster making and essay writing competition organized on the theme of teachers day and the students who won positions by giving outstanding performances in Talent Hunt were awarded by the Campus , as well as the best academic performers got the golden opportunity to receive awards from the Chief Guest. 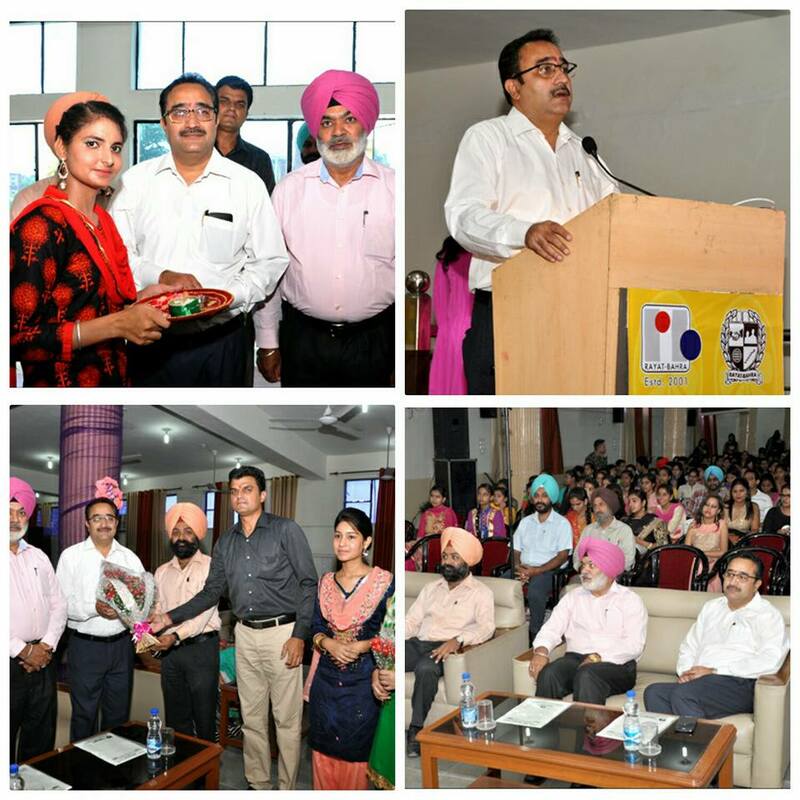 The campus Director bestowed his blessings on the students and also shared his enormous experience with students. The event made him trace the journey of years throughout his career and made him nostalgic and reminded her of her student life, he embarked on the idea that “we are sculptors of our own destiny everything is in our hands” . 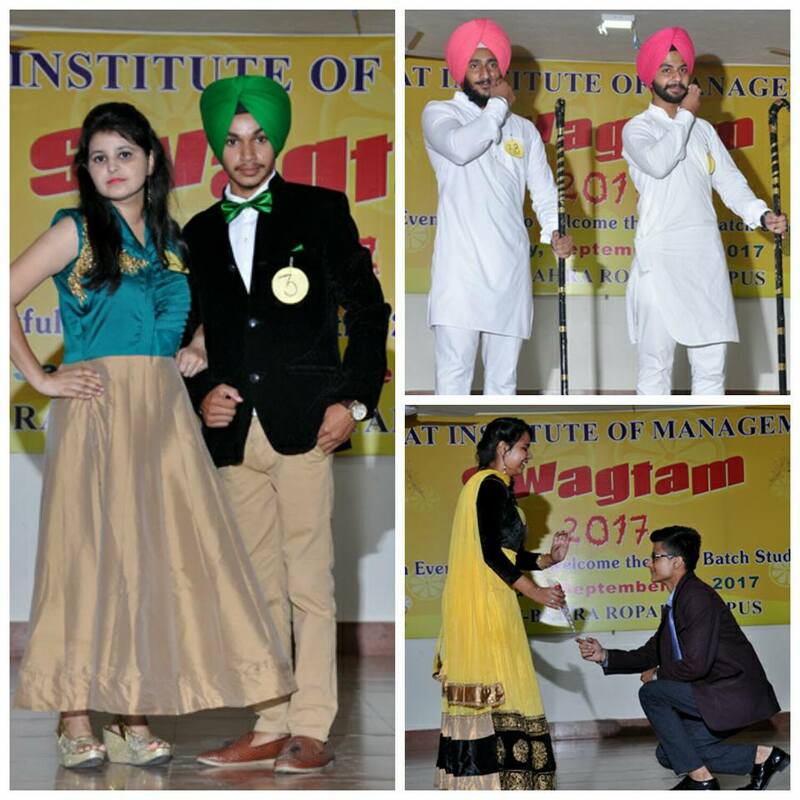 After the prize distribution ceremony participants made the event vibrant and lively through their spell bounding performances of dance and singing, group dance, Giddha , Bhangra and musical performances solo as well as in a group were the main attraction of the event . Freshers also rocked the stage and showed their talent through modeling. Freshers of graduation and post graduation participated in the modeling. The event concluded on an optimistic note with the declaration of the most awaited results of the modeling. 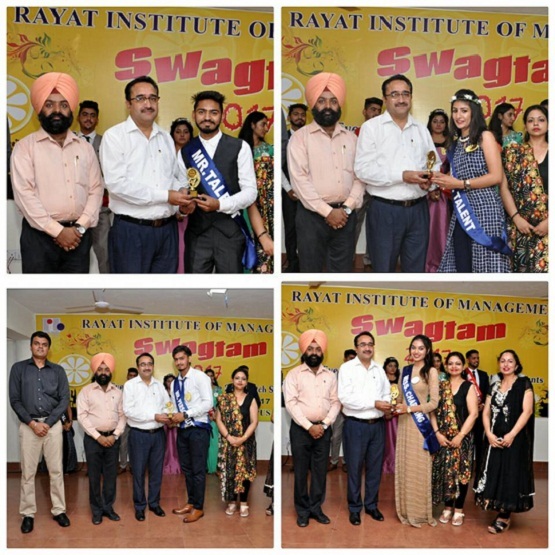 From graduation Ms Ria Panday from BBA was declared as the Miss Fresher , Mr Kashshik Khurana from BBA was judged as Mr Fresher and Mr Baljeet Singh and Ms Arushi Bhalla were declared as MR and MS Fresher from Post Graduation. 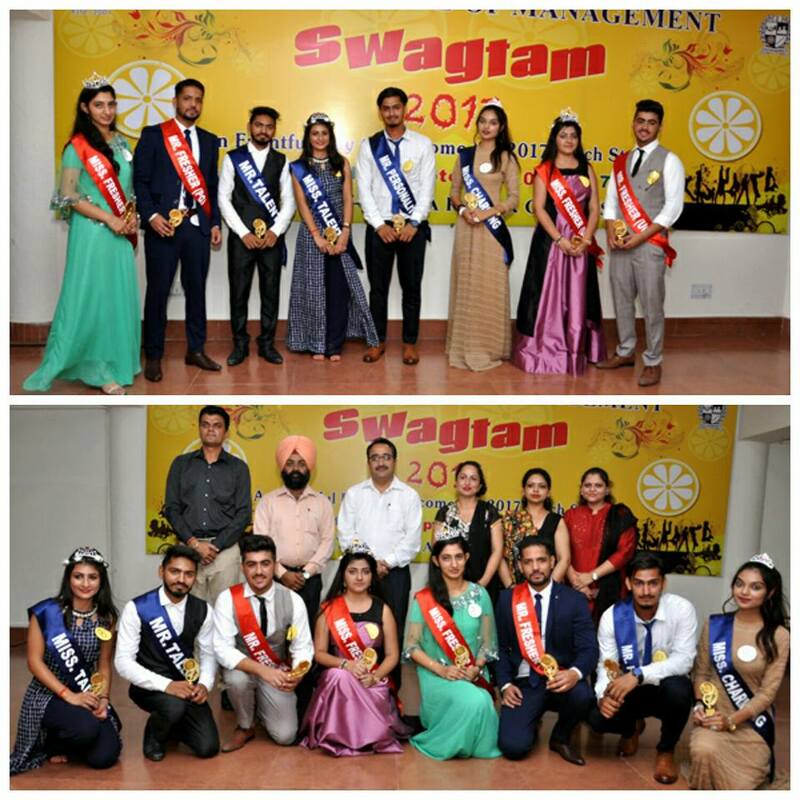 Mr Mohit of MBA was declared as Mr Talented ,Ms Swikriti was delared as Miss Talent and Ms. Priya from MBA was declared as Miss Charming and Mr Sandeep kumar Rana was declared as Mr Peronality respectively.